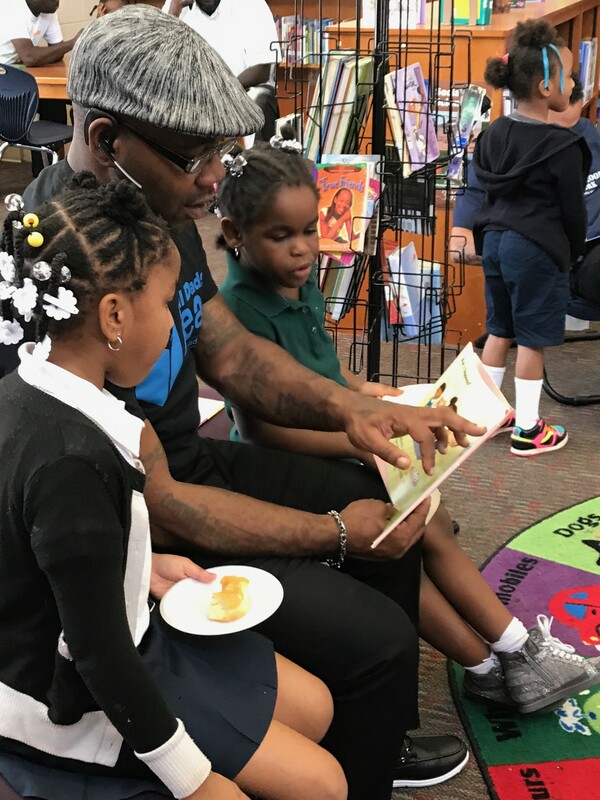 More than 400 dads supported literacy at Flat Rock Elementary’s special event. The fathers of more than 400 students at Flat Rock Elementary School committed to reinforce their belief and investment in the power of education during a special event on the morning of Sept. 28. The dads spent the morning with students, participating in many events that build bonds between the school and families. Many of these dedicated fathers, community stakeholders, DeKalb County School District leaders, and male educators of Flat Rock read to students to stress and promote the importance of literacy. The event included special guests, student performances, book give-a-ways, door prizes, public library card sign-up, a PTA membership drive, and more. The experience culminated with coffee, conversations, and doughnuts with Principal Malik Douglas.